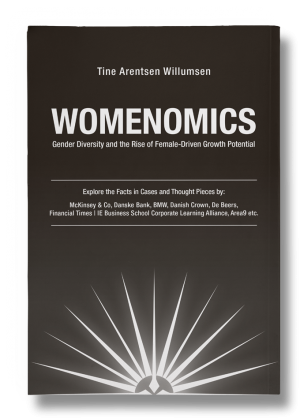 In 2018, Tine Arentsen Willumsen, CEO of Above & Beyond wrote her first book, “Womenomics – Gender Diversity and the Rise of Female-Driven Growth Potential”, exploring women’s influence on the global economy, both as consumers and managers. The book contains contributions and cases from researchers, global brands, entrepreneurs and role models, including DeBeers, BMW, Danske Bank, BIG, Financial Times and IE Business School and McKinsey & Company, which are grouped thematically and introduced by the author, based on her own global leadership and diversity experience as well as organizing The Womenomics Nordic Business Conference for the past six years. “Much has happened in six years, and the importance of diversity for growth is well documented with international research. Hence decision-makers can refer to the cases and strategic recommendations in the book to explore the new growth potential and attract the entire talent pool,” explains Tine. ‘Still Looking for Room at the Top: Ten Years of Research on Women in the Workplace’, Kim Baroudy, Jacob Staun, Sandrine Devillard, Vivian Hunt and Lareina Yee, McKinsey & Co.
McKinsey & Co, Danske Bank, BMW, Danish Crown, De Beers, Financial Times | IE Business School Corporate Learning Alliance, Area9 etc. 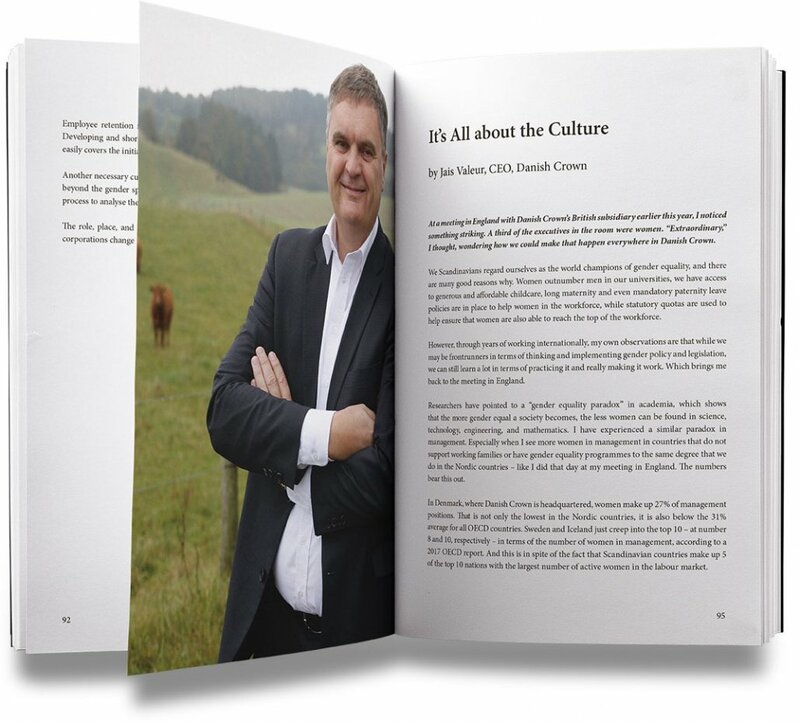 In this extract from the chapter ’Inclusive Leadership and Unconscious Bias’, the CEO of Danish Crown, Jais Valeur, shares his personal insights as a top CEO in a largely male dominated industry, and how building an inclusive culture is essential to ensure all talents can reach their full potential. Download the full extract here. Kim Baroudy, Jacob Staun, Sandrine Devillard, Vivian Hunt, and Lareina YeeMcKinsey & Co.